If you wanted to skip the Wireless kit and connect the microphone directly into the Mixerface R4R recorder, use the RODE VXLR+ adapter. Tesla - If you plan to buy a new car, Tesla makes some really nice options. Using my link, you'll get a little extra, i.e., free supercharging for 6 months. Editing the dialogue sound for your film and video projects can seem a little daunting, especially when you have two or more actors, each with a wireless lavalier microphone plus a boom microphone. How do you edit all those tracks? 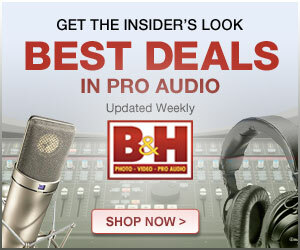 Do you just keep the boom and lavalier mics? Won’t it sound richer if you do keep them all? It turns out that it generally will sound quite a bit worse if you keep them all and the main reason for using both lavalier microphones and a boom microphone is to give yourself options to use the best sounding mic in for each dialogue line. In this demo, we show the basics on how to start a dialogue edit using Adobe audition. In this demo, we exported the edit of the film from Final Cut Pro X. Universal Audio Apollo X6 - Microphone preamp and Thunderbolt 3 Audio Interface used to record my voiceover for this tutorial. Last week I had an interesting conversation with my new friend Allan Tépper about mixers and recorders under $1000 USD with an auto mix feature. Allen is a contributing author at ProVideoCoalition and also hosts Beyond Podcasting. You can listen to our conversation over at ProVideoCoalition.com. For those not familiar with auto mixing, this feature is very helpful in situations where you're recording two or more people, each with their own microphone, for interviews, panel discussions, or podcasts. In such situations, it is common for one person's speech to bleed over into the other peoples' mics, at least a little bit. Also, the mics that are not currently in use will often pick up reverberation in the room as sound bounces off the walls. Auto mix helps solve this problem by fading back the microphones not currently in use and then quickly fading them back up when that person begins to speak. If you shoot video with your iPhone or iPad and are looking to improve the quality of your audio, the RODE VideoMic Me-L might be the solution for you. This little mic attaches to your phone via the lightning port and with its 1/2 inch capsule and directional pickup pattern, it helps focus the sound and reduce the noise you capture. Here we take a closer look at how it works in the difficult situations we often find ourselves such as windy outdoors, crowded, noisy spaces, and even in relatively quiet household rooms. If you’d like to learn how to make great dialogue audio for your film and video projects, please have a look at my courses at my school including one that focuses on processing dialogue audio! How do you set up timecode on a MixPre-10T? Let's take a look at free run timecode on the 10T where the 10T is the master clock. What are the basic things you need to setup to get recording quickly with the Zoom F8 or F8n? We cover them here! This is an excerpt from my upcoming course, Getting the Most From Your Zoom F8/F8n. Please consider my sound for film classes available over at the school. Are there any decent, low-self-noise, XLR based lavalier microphones you recommend? This question has come up quite often over the last several years. So in this episode, we have a look at and listen to the MAONO AU-XLR20, a very affordable XLR lavalier microphone which can be powered by the microphone input, or provide its own power. You can access a sample wav file directly from the MAONO AU-XLR20 and Zoom F8n here. If you’d like to learn how to make great dialogue audio for your film and video projects, please have a look at my courses at our school including one that focuses on processing dialogue audio! Lupo Superpanel Full Color 30 RGBW LED Light - used for that crazy purple background. Review coming soon! In this week's live Sound for Video Session, we'll take a shot at answering your sound for video questions. You can submit them live, or for future sessions, just sign up for free over at http://school.learnlightandsound.com and I'll email you when its time to submit.